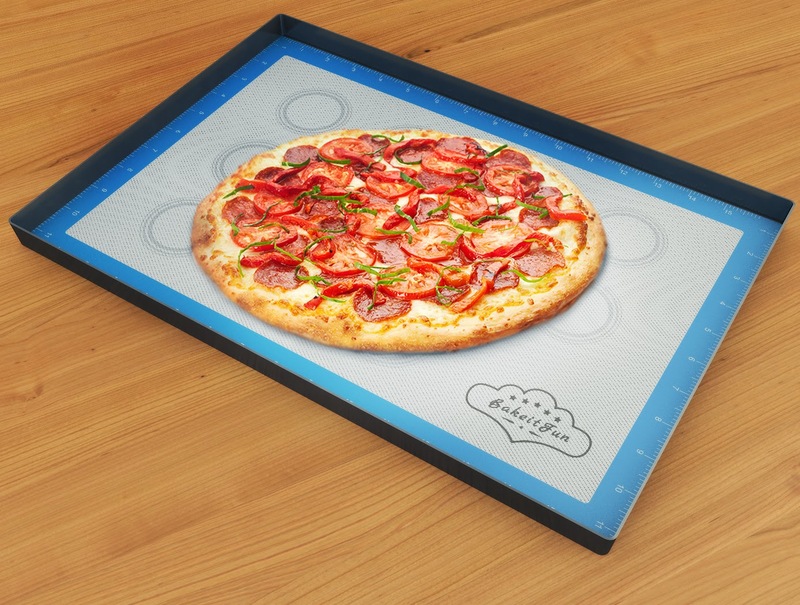 Non-Stick Silicone Baking Mat With Measurements - 420mm x 280mm (16-1/2" x 11") with Free Recipe eBook. 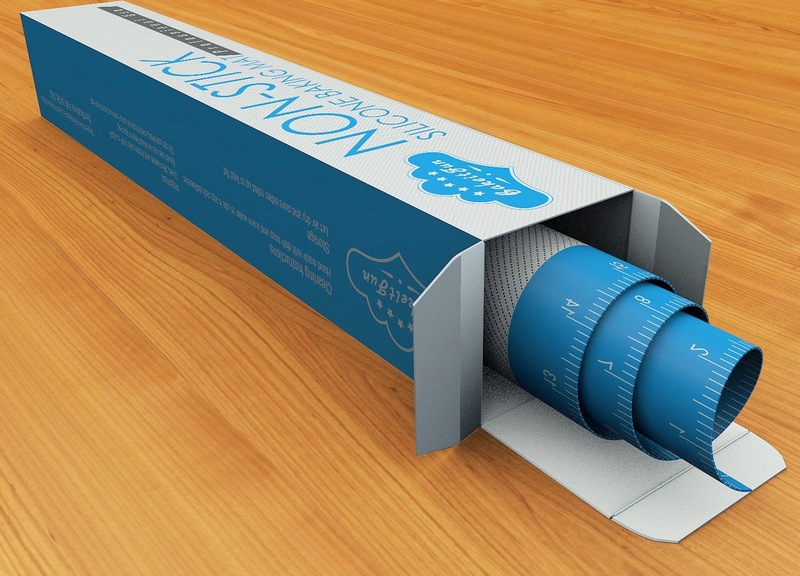 Toaster Oven & Freezer Safe - Cookie, Macaron & Pastry Sheet. 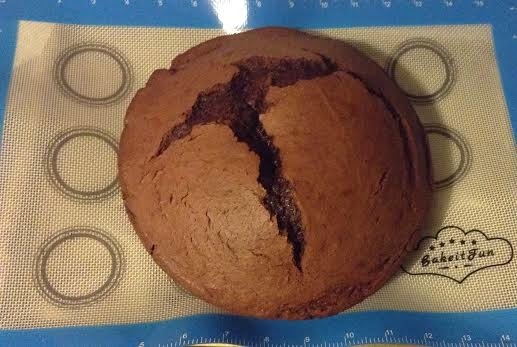 * This is a USA Half Size Baking Mat - 16-1/2" x 11" (280x420mm) - Custom designed cutted corners fits perfectly a 13"x18" pan. 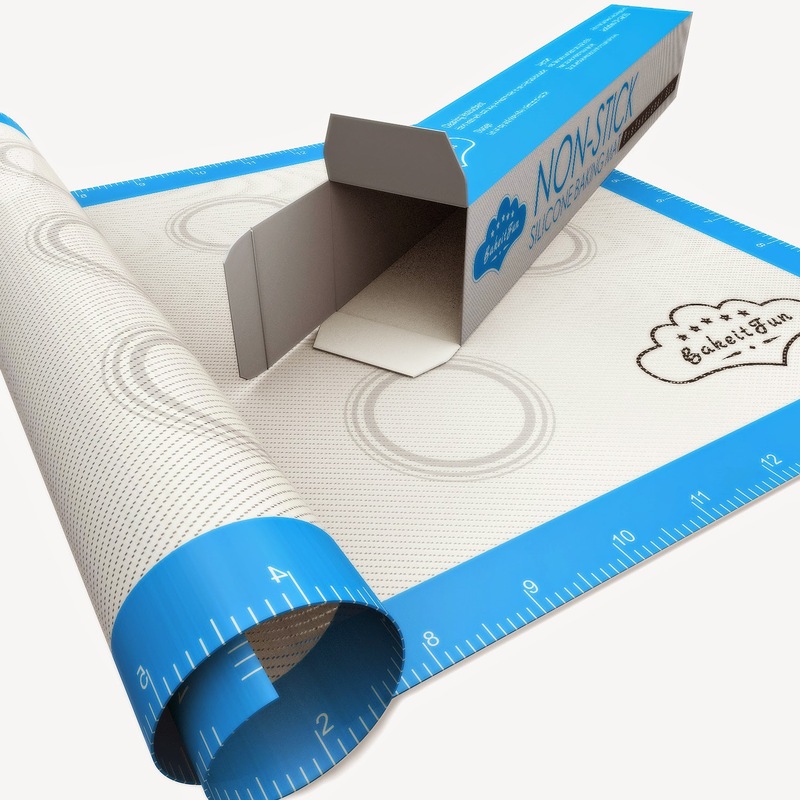 * BakeitFun Baking Mat doesn't require any grease, get rid of the extra fat or shortenings - Cook Nontoxic: Our mat is BPA free. * Non-Stick surface eliminates the need to scrub - Keep your baking sheets always clean - Just rinse with warm water and air dry or dishwash, then roll it and store. BakeitFun mat with ruler is available on Amazon for $14.77! If you are an Amazon Prime member shipping is FREE! 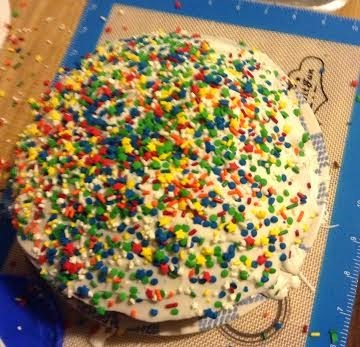 I really like the BakeitFun Baking Mat! My daughter and I made cookies on it and even decorated a cake on it! I really like when I made cookies on it they didnt stick! The mat is easy to clean just wipe off. It doesnt take up much space cuz it rolls up! 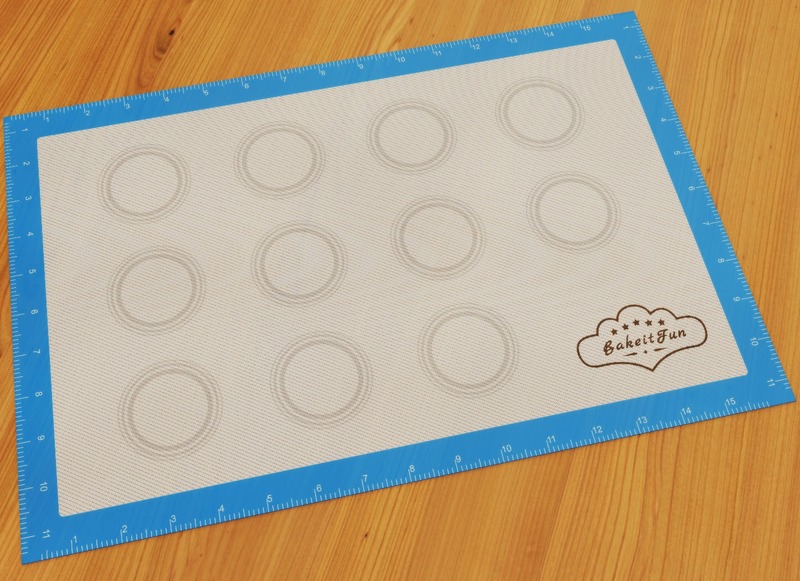 I give the BakeitFun Baking mat a 5 star! Its great for baking with the kids!